Shadow of the Colossus is one of those titles that’s achieved almost legendary status in the history of gaming. Hailed as one of the most “artistic” video games ever made, it’s a fascinating title that was wholly unique when it was released back on the PlayStation 2. 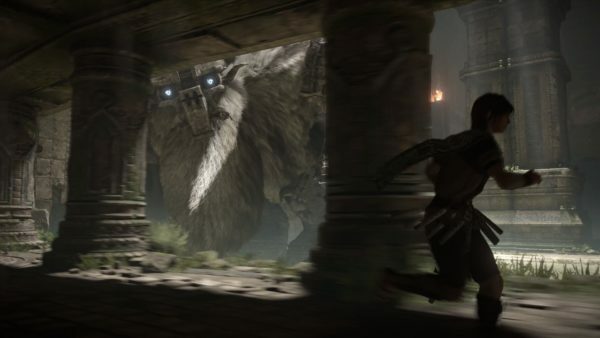 The most surprising part about playing the remake on PlayStation 4 for me, was when I was hit by the feeling that there’s still nothing else quite like Shadow of the Colossus out there. The ambiguously melancholic story, minimalist design, incredible soundtrack, and humongous Colossi boss battles are still something that no other game has managed to emulate well. 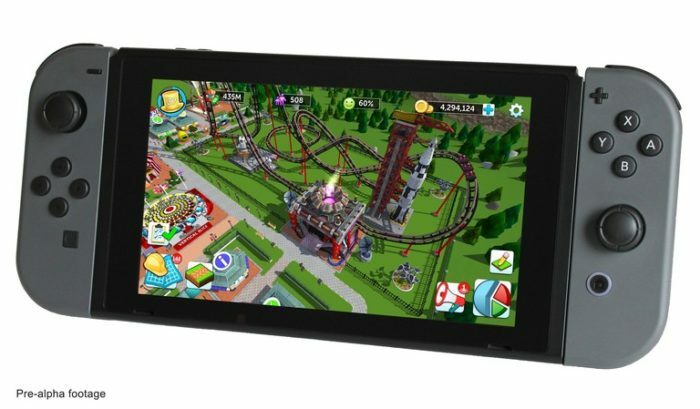 Make no mistake, this is a remake that sticks exactly to the source material, but rebuilds it from the ground up as a more modern-looking experience. For those who don’t know, Shadow of the Colossus casts you as a young boy named Wander, who’s embarked on a quest to revive a dead loved one. Wander and his horse, Agro, make their way to a mysterious land where a godlike voice tells them that their loved one can indeed be revived, if you hunt down and kill a number of giant Colossi that roam the land. Shadow of the Colossus’ story remains exactly the same, as it should be. The mysterious tale is an incredibly emotional journey, and it’s something that you really should experience for yourself with little introduction. Of course, the big focus of the remake is the graphical update brought to the game. Instead of merely updating the graphics of Shadow of the Colossus, the entire game has been rebuilt from the ground up, and it’s a truly remarkable feat. This remake is an absolutely gorgeous game, character models are detailed and the various environments of the game are a wonder to behold. Honestly, the rebuilt world does more than just look better, it really adds an extra sense of gravitas to the experience. Dusty deserts are swept by wind, the forest whirs and chirps with the sound of wildlife as sunlight ripples through the trees, and the fur on each Colossi waves back and forth realistically. Playing on PS4 Pro, Shadow of the Colossus is one of the most visually stunning titles on the system, and each area is a joy to explore to see how it’s changed, even if you have played the original. Even with the update, however, the mood of the game still remains. 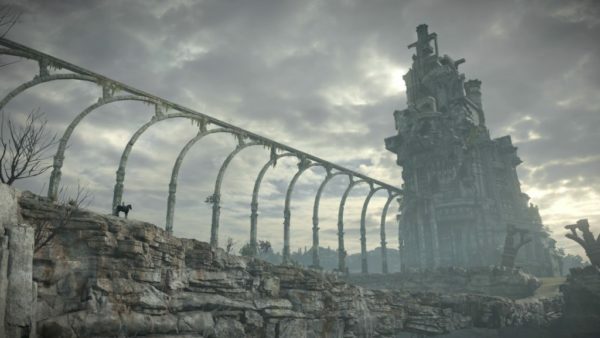 Shadow of the Colossus’ world feels oppressive through the use of fog, dust, and a dark skybox that looms overhead at every turn. By all accounts, this remake is an experience that sticks almost exactly to the original, gameplay-wise. 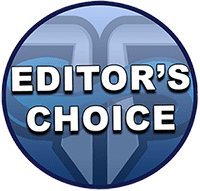 UI has been updated to be more streamlined and easy to read, and the control scheme comes with a few modern sensibilities with four different selectable control styles in the game. Modern, Modern Remapped, Classic, and Classic Remapped. The updated controls do help streamline things a tiny bit, but they’re certainly not a drastic change over what the original did. Still, I enjoyed the fact that the game was at least a bit easier to play, something that also applies to the camera which seems like it’s also been improved. Again, this isn’t something that feels drastically different, as the camera can still be quite troublesome when backed into corners or slow to swing around. Both the control scheme and camera are something I’ve always felt were fairly intentional in Shadow of the Colossus, however. The camera oftentimes works to make the game more cinematic, giving you wide views of an area of staging itself a particular way while you climb up a Colossus. At the same time, the controls require concentration from you as a player, and make each Colossi battle a methodical one. 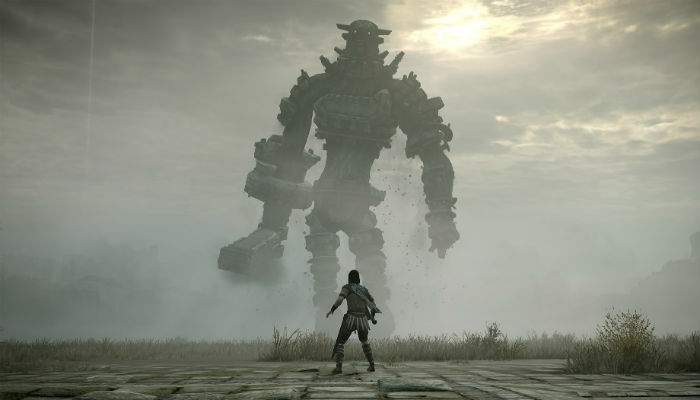 The design of the Colossi is still a high point for the game as well, and each one not only functions as a boss battle but also a mini puzzle, as you try to figure out how to climb the creature and find its weak points. I enjoyed the fact that Hard mode is unlocked from the get-go with the remake, instead of making it unlockable. This means anyone that’s played a lot of Shadow of the Colossus can jump right in and play it on Hard without having to clear the game on an easier difficulty at first. The addition of a photo mode is also nice, allowing you to take some stunning shots and edit them up how you want. On PS4 Pro Shadow of the Colossus comes with two different options: a focus on resolution which puts the game at 4K and 30fps, and a focus on frame rate which knocks down the resolution a bit but bumps it up to 60fps. Even without Pro enhancements the game runs well, making for a smooth gameplay experience even with all the rebuilt graphical pieces, doing away with the slowdown that the original contained. If you have a Pro, however, it’s definitely the way to play it. 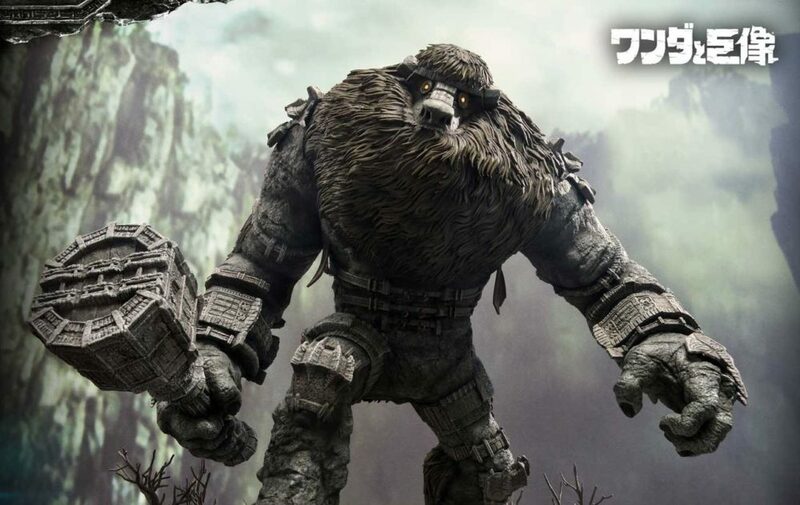 The remake also comes with everything the original Shadow of the Colossus had, including an unlockable time attack mode, items to obtain through special conditions, and as an added bonus there’s a ton of viewable art to unlock through various gameplay milestones. The Shadow of the Colossus remake is truly a remarkable achievement, with how Bluepoint Games has managed to completely rebuild the game but make it feel exactly like the original. The graphical prowess of this remake is impressive, but the heart of what makes Shadow of the Colossus is still there. Gameplay and control issues still persist in the remake, but they are easily overlooked for the experience that the game provides. Shadow of the Colossus remains one of the most imaginative games of all time, and this remake only forwards what the original did. Without a doubt, this is the best way you can experience Fumito Ueda’s best game. The remake is absolutely stunning graphically, and really adds to the world. Still has a phenomenal soundtrack. Shadow of the Colossus is still a unique experience, to this day. Hard mode unlocked from the beginning is nice. 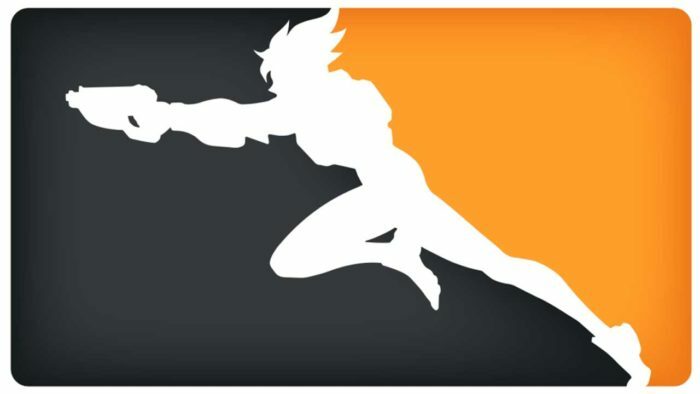 Control and camera changes are minor, but do help to a degree. Issues with the camera and controls still persist. This is a straight remake, so don’t go in expecting a wealth of new content.